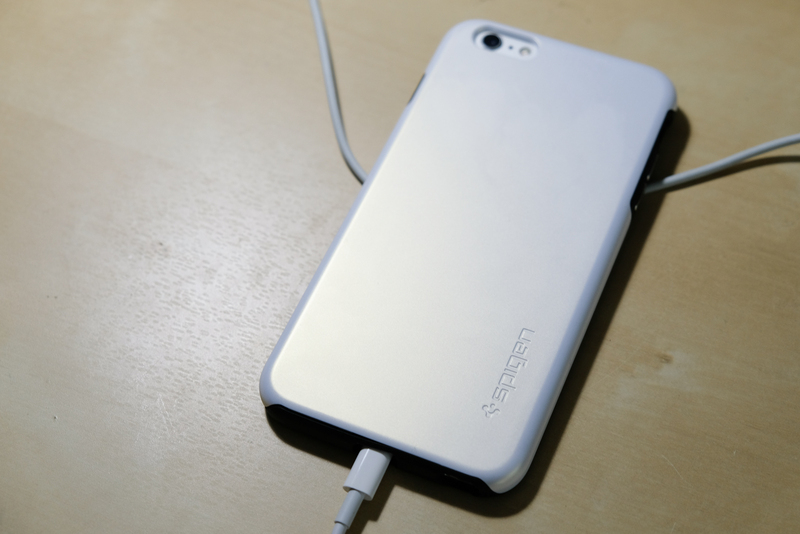 The Spigen Thin Fit Hybrid was the first case I picked up for my iPhone 6S Plus, but itâ€™s actually the case I use the least. That has little to do with the build quality or the ergonomics, and everything to do with how the matte white appears in the everyday. When I purchase products in white, I want them to look white in most circumstances. The finish on the Spigen Thin Fit Hybrid looks all right in ambient light, but the moment you hold it up to sunlight (or have it under a lamp on a desk) youâ€™ll see that the coating is pearlescent white, rather than a pure white. Itâ€™s tricky to capture on camera, but thereâ€™s definitely a yellow tint to the case under bright light. I was disappointed to find this out, as I think it cheapens the look of an otherwise clean design.